Sunday, Mar. 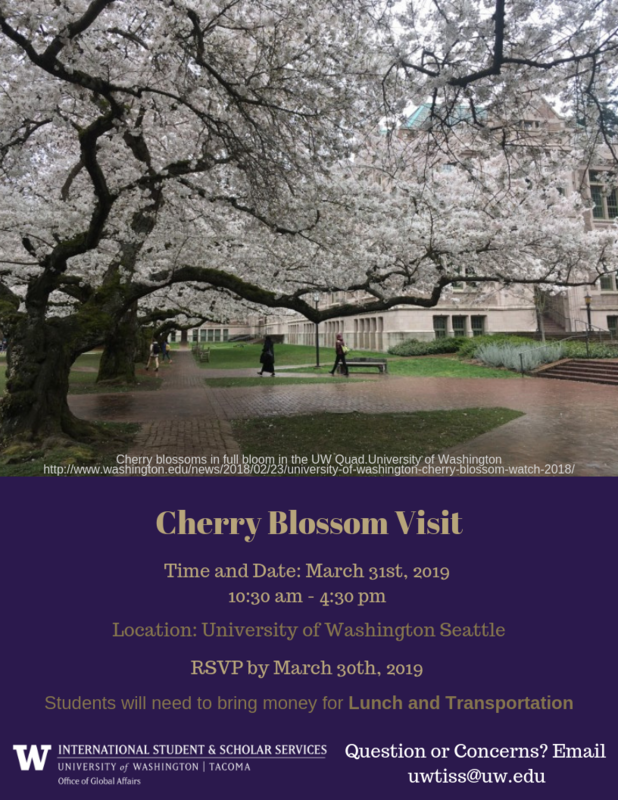 31, 2019, 10:30 a.m. – 4:30 p.m.
New and returning international students may join ISSS for a trip to UW Seattle to see the cherry blossoms and explore the U District. Please sign up before March 30 by emailing uwtiss@uw.edu. Participants should bring their UPASS (or money for public transportation) and money for lunch. Meet at the UW Tacoma campus outside the University Bookstore.